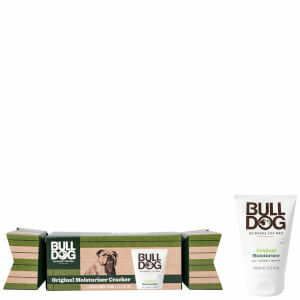 The Bulldog Sensitive Face Duo is the perfect set of products for any man who has sensitive skin. Containing a face wash and a moisturizer, the products will cleanse and condition your skin without aggravating it. - L.M. Bulldog Natural Skincare Sensitive Moisturizer 100ml: Enriched with essential oils, green tea, algae and vitamin E in order to provide the best nourishment for your skin, this moisturizer for sensitive skin will leave your complexion feeling smooth, soft and supple.